Current research has shown that what you eat is one of the strongest factors in preventing cancer. You can take advantage of this fact to safeguard your health-and this book shows you how. 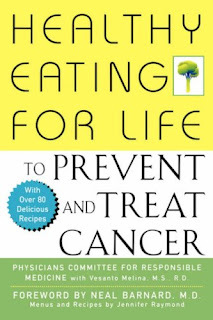 Drawing on the latest medical and dietary research, Healthy Eating for Life to Prevent and Treat Cancer presents a complete and sensible plant-based nutrition program that can help make cancer less likely-and also help those already diagnosed to heal. Whether you are looking to prevent or heal cancer, this book will give you the crucial knowledge you need to take charge now- of your diet, your health, and your life.